Foodista | Lasagna A Dish Best Served Raw? As the bountiful summer season comes to a close, there is still time to enjoy those fresh from the garden or farm veggies. While the mercury is still high is the best time to enjoy raw food, since it's quite cooling. 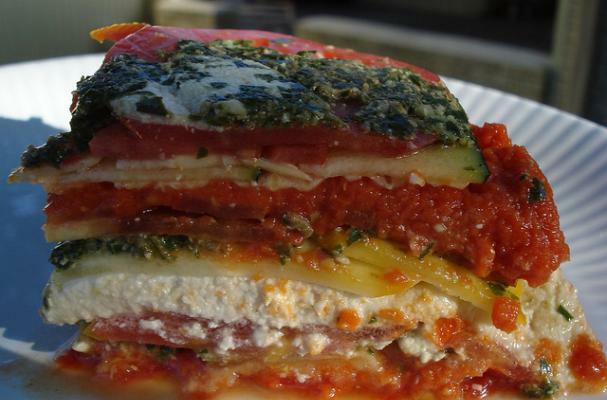 This raw lasagna features many fresh herbs and veggies, making it a healthful and delicious treat for your labor day picnic, campout, or potluck.